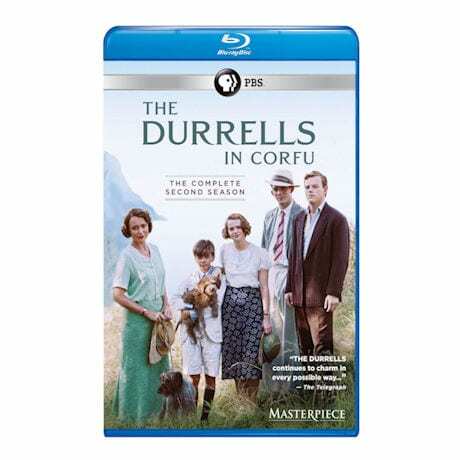 Follow the further adventures of the eccentric Durrell family as they embrace life on the gorgeous Greek island of Corfu. 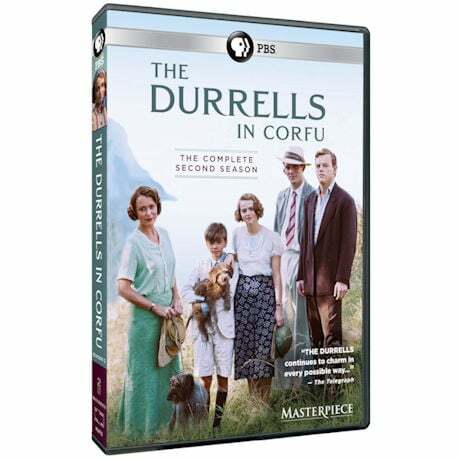 Based on Gerald Durrell's trilogy of Corfu novels, this latest series sees sparky English widow Louisa Durrell and her brood continue to put down roots in their dilapidated rented house, alongside an ever-increasing menagerie of animals brought home by youngest son Gerry. Seen on Masterpiece. 4 ½ hrs, 2 DVDs or Blu-ray discs. 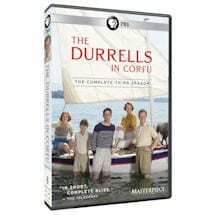 Gerry is blissfully happy, but for the rest of the Durrells, times are hard. Louisa decides to sell their meagre produce at the local market, while Larry struggles with writers' block. Larry's latest novel is published in England, however, everyone seems far too busy to notice. Leslie sees a potential business venture. And admitting she is letting all her children down, Louisa delights in arranging a reading for Larry. 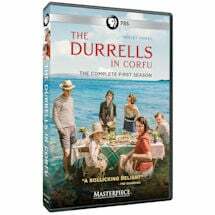 The Durrells plan to throw Louisa a surprise birthday party. Larry seems determined to live the bachelor life, Margo has given up being a nun, and Leslie believes he could solve the family's money worries. Larry has the mumps and landlady Vasilia is to blame. It's a good excuse to keep Aunt Hermione away from the house, and so Aunt Hermione and her traveling companion Mrs. Haddock, a spiritual medium, take refuge at Theo's house. Larry realizes he is going to end his relationship with Vasilia, while Gerry lets it be known that tutor Donald is ruining his life. Sparring for Louisa's attention, Hugh and Spiro hold a cricket match between the Greeks and the Brits. Hugh asks Louisa to be his and to return to England with him, sending Vasilia into a jealous fit. Louisa decides that she is in love with Corfu. Leslie finds himself alone with Leonora when her baby starts to arrive.